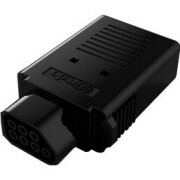 At Midwest Gaming Classic 2014 Hyperkin announced the RETRON x86 computer. This is a box that will let you play old MS-DOS games from 1986-99. The console/computer will be released in the fall/end of 2014. They also said that they had problems which the RetroN 5 distribution, but that it was on it’s way and that it will be released in the next 30 days. 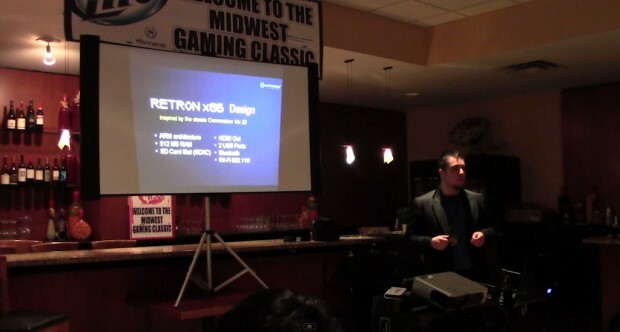 You can see the complete presentation on the RETRON x86 and the RetroN 5 in the video bellow. Here is also an interview with Justin from Hyperkin. This entry was posted in console, Hyperkin, RetroN 5, RETRON x86 and tagged console, DOS, Hyperkin, retro, RetroN 5, Retron x86. Bookmark the permalink.